While Harper does the talking, MacKay does the walking. 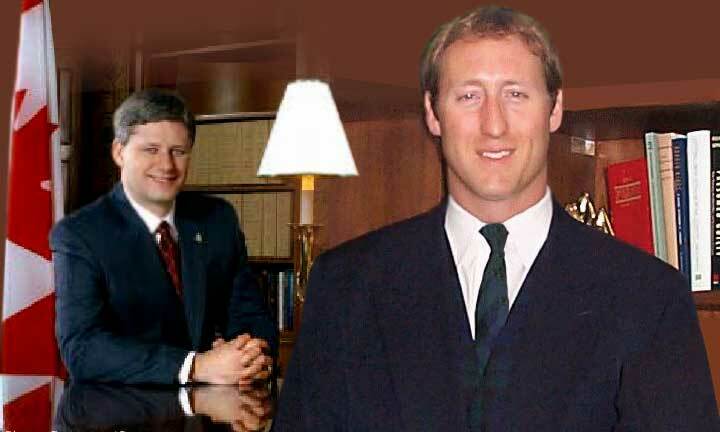 Of course Stephen Harper is "shocked" and "troubled" by Peter MacKay's win. In his victory, MacKay re-confirmed there will be no merger or agreement to protect Alliance candidates in some regions of the country. Since the Progressive Conservative Party voted a year ago to re-confirm its commitment to the 301 rule, the Alliance leader has continued to suggest an end-run around the Progressive Conservative constitution and the will of the members. What is truly shocking is Harper's, and many of his high profile MP's, lack of commitment to grass-roots democracy. How many times do the members of the PC party have to state there will be no concession of electoral territory to the Alliance? Harper himself ran on a platform of non-cooperation, only to find support for his party drop in every part of Canada, including Alberta. He has not led his party to prominence and is looking to the Tories to smuggle him into central Canada. MacKay's invitation to David Orchard has shown the PC Party's commitment to include a broad base of views, to the environment, agriculture, strengthening trade relationships and democratic reform. The Alliance and Liberals talk the talk, but it is the Tories who walk the walk.